I have started playing “the Big Deal” stockmarket trading game. Come and join in for a chance to win some of the £30,000 prize fund! * £10,000 in other prizes along the way. 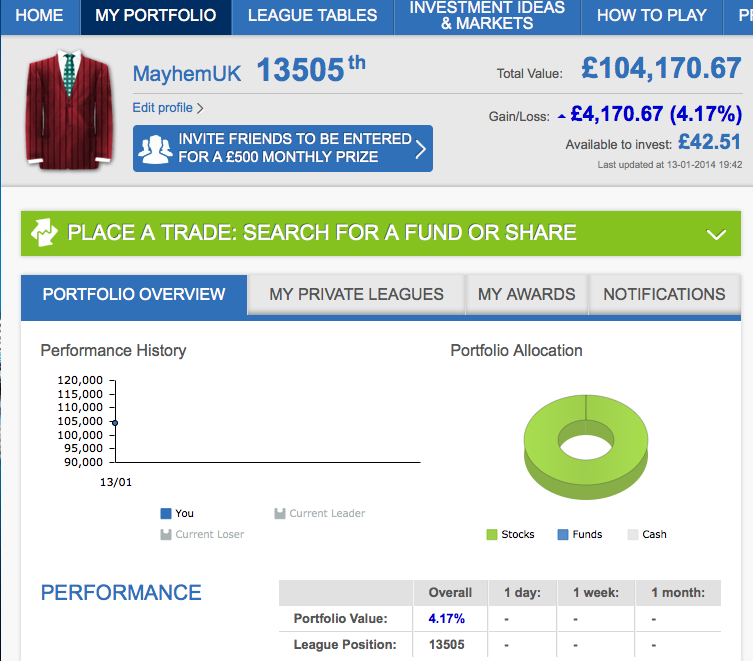 The game is run by a big online trading company – so you by in “virtual” currency, but based on real time share dealing! As I’ll also get an award for signing a few of you up, come and join me! Just fill in the form above and I’ll send over the invitation. Please use the email address you plan to sign up with. If you don’t join, the email address will be discarded.